The referral process is often fraught with dangers and can easily lead to significant events. To help reduce the likelihood of this occurring Ardens has a quick ‘Safety Net Referral Advice’ Letter. You can easily print this out during your consultation to give to your patient. This will help ensure that the patient gets to their appointment. It will also protect you medico-legally and will also reduce some of the calls to your surgery. To access the this letter, click on the ‘Doctors Bag’ icon under the patient’s name. You’ll see a ‘Referral safety net advice’ tick box with the a link to ‘Launch Safety Net’. 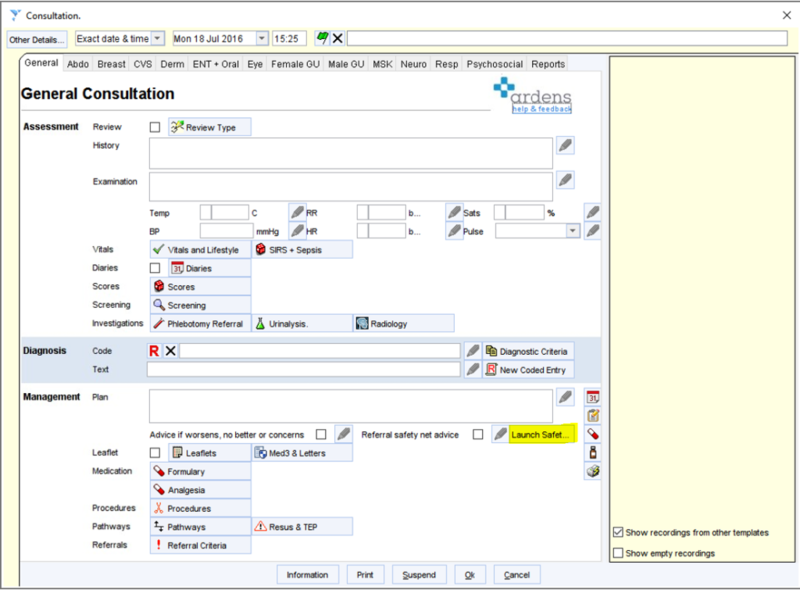 For further 2ww referral safety netting processes, please see here.